In 2010 the BBC Library released tapes of a 1995 Irakere concert in London. Imprinted on record by the Beeb three years after the release of the tapes, the disc proved to be a phenomenally popular recording among fans and critics alike, although, to my mind the recording left much to be desired. However, memories suddenly grew long and it seemed that it would only be a matter of time when Chucho Valdés himself would feel compelled to pay tribute to one of the most iconic Cuban ensembles of all time. So here, courtesy of Jazz Village is the maestro’s own tribute to a band he led for so many celebrated years, made by his own hands and with members of his fabulous new initiative the Afro-Cuban Jazz Messengers. Chucho Valdés is at the top of his game here, on Tribute to Irakere (Live in Marciac). There is a visceral excitement in the performance, where the music is played in the idiomatic vein of Irakere. This means the creation of an attractive, edifying atmosphere in Marciac with the celebrated collision of African polyrhythms together with a polyphony born of Cuban folk forms that Chucho Valdés is so well known for adapting to his electrifying style. It is hugely entertaining to listen to the master pianist play and invent ever-surprising images at breakneck speeds in a tableau of dramatic emotional impact. Chucho Valdés rarely delivers a comfortable ride and yet what brilliant visions emerge, most strikingly in his relatively new invention Afro-Comanche, a song that features the characteristic dazzling runs and brilliant arpeggios that the pianist has come to be known for. The thunderous percussion invites raw and burnished partnerships from the five-member brass and woodwind section of Chucho Valdés’ new band and the performance is consistently involving. The vast arches and sudden climate changes in the vocal passages are particularly well-handled, the central build-up towards the chants and drumming initiatives are truly climactic each time the vocalists invoke the Santeria deities showing that the musicians are unafraid to take the music beyond their comfort zones. The direct reference to Irakere comes somewhat late in the programme with Afro-Funk, here also played with chants and invocations. This piece is truly dramatic and memorable especially when Dreiser Durruthy Bombalé invokes the spirits and when the drummers take over. The adventurous spirit of the musicians is infectious and this whips up the audience to participate in the wordless chants as well. It is fascinating to listen to Chucho Valdés and his electrically charged soli as he explores melody and rhythm to the maximum extent possible and then some, often quoting from musicians stretching from Bach to Brubeck. This makes for a vibrancy that is most affecting. The pianist’s imagination is just as expansive as his virtuosity and the music literally explodes when the two aspects of Chucho Valdés bisect especially on this brilliantly vigorous outing. The band behind Chucho Valdés plays with precision and commitment and the recorded sound is big and spacious, evoking power and mystery. Yet there are places where I wished for a slightly clearer definition in the bass – such as there is between the battery of drums especially on Yansá – or in the important horn parts as well. But at the end of the day these are small lapses in a much vaunted big picture. The performances have heaps of spirit and do ample justice to the sparkly inventive music of an almost forgotten era. Collectors with a taste for adventure should definitely lend an ear. Track List: Juana 1600; Lorena’s Tango; Congadanza; Afro-Comanche; Afro-Funk; Yansá. 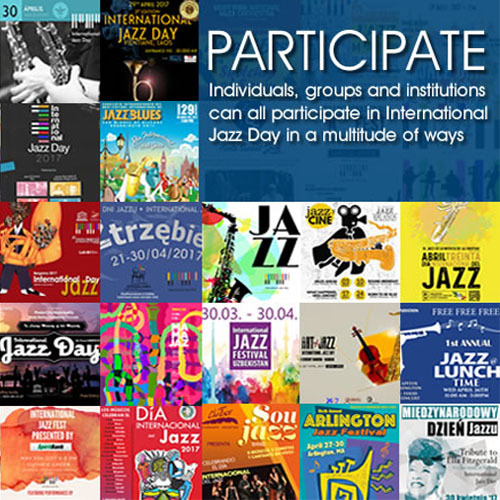 Personnel: Chucho Valdés: piano, arranger, director; Yaroldy Abreu Robles: percussion, vocals; Rafael Águila: alto saxophone; Rodney Barreto: drums, vocals; Dreiser Durruthy Bombalé: batás, lead vocals; Ariel Bringuez: tenor saxophone; Gastón Joya: double bass, vocals; Manuel Machado: trumpet; Reinaldo Melián: trumpet; Carlos Sarduy: trumpet.